Along with 14,000 others, this year’s outstanding delegation of Beth Tfiloh American Israel Public Affairs Committee (AIPAC) conference attendees, led by Rabbi Oratz, attended several electrifying lectures, elevating this year’s summit among the Committee’s best yet. Indeed, Tara Brown, Area Director of AIPAC, glowed in an email to Rabbi Oratz that the “Beth Tfiloh High School delegation was BY FAR the largest H.S. delegation at the conference — and for anyone who saw them on the hill they were quite an impressive crew.” Beth Tfiloh students attended speeches by President Obama and Prime Minister Netanyahu, listened to different facets of and approaches to Israel advocacy, lobbied Congressman, and even heard the Maccabeats! Yet in addition to all of these incredible activities, AIPAC also provided a forum for personal growth. Julian S. ‘13 exclaimed after the conference that, “though listening to President Obama in person changed [his] worldview and perception of America’s relationship with Israel, hearing Netanyahu inspired [his] unconditional future support of Israel.” AIPAC veteran and co-chair of Beth Tfiloh’s Committee for Israel Action Mark S. ’12 further commented that “AIPAC provides a great opportunity to students because it combines opportunities for learning with hands-on experience. AIPAC teaches us how we can affect American foreign policy by forming relationships with our elected officials.” Finally, Louis B. ’13 remarked that “AIPAC was an enjoyable and enriching learning experience, that served as an outlet for [him] to lobby and voice [his] opinion on the U.S.-Israel relationship.” Beth Tfiloh students embraced the amazing opportunities afforded to them at AIPAC and will remember for life as instructive, fun, and broadening. Furthermore, the outstanding leadership of Rabbi Oratz in this endeavor received national commendation. As the Area Director of AIPAC attests, “Rabbi Oratz was the national recipient of AIPAC’s ‘Ally of the Year’ … this year”, a tremendous honor that Rabbi Oratz unquestionably deserved. 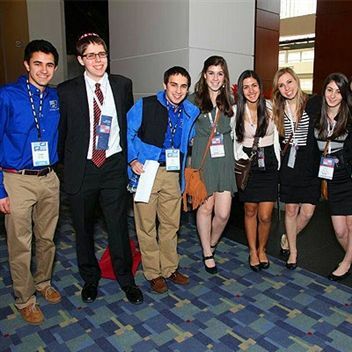 Thanks to Rabbi Oratz’s tireless devotion and leadership, AIPAC has become a passion of Beth Tfiloh students. Rabbi Oratz has elevated AIPAC from a banal, run-of-the-mill conference to a transformative, “very valuable experience,” in the words of Raanan G. ’13, which simultaneously provided enjoyment and instruction.